In her recent works, Nicoline van Harskamp uses varieties of internationally-spoken English to propose a future shaped by the ubiquity and constant evolution of the language, and its inevitable divergence from hegemonic norms. 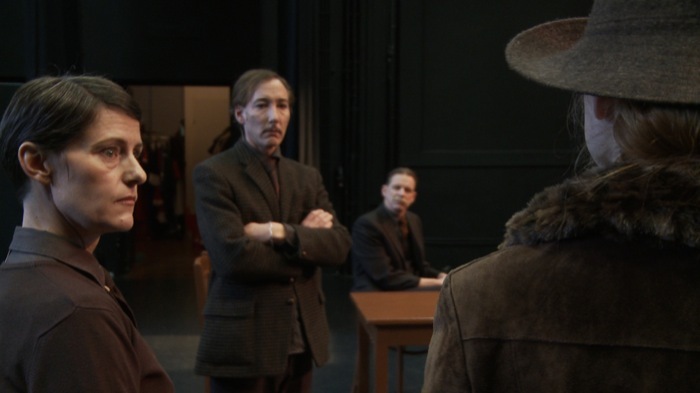 Devised with actors, students, and sometimes linguist, van Harskamp’s performative actions (such as English Forecast), plays (A Romance in Five Acts and Twenty-one Englishes), documents and video works bring out the correspondence between content and the aesthetic framework in which it comes into force. 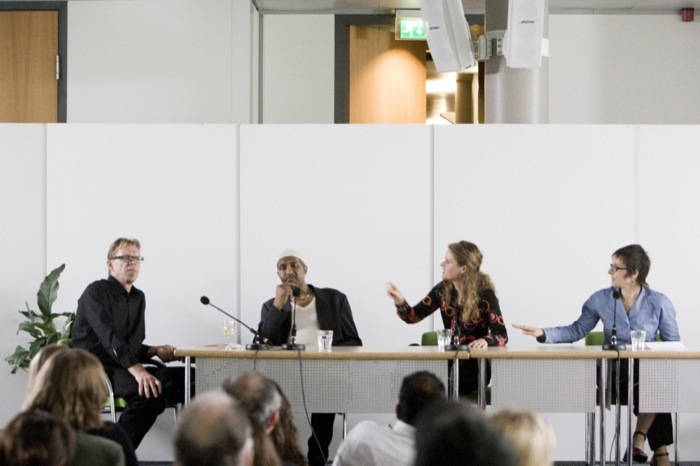 Van Harskamp’s recent presentations include Englishes at BAK Utrecht, KunstWerke Berlin, Extra City Antwerp, Kunstraum London, and BMW Tate Live Performance Room. She took part in Sydney Biennale, Eva International Limerick, Manifesta 9 Genk, Gothenburg Biennale, Bucharest Biennale, and exhibitions at Witte de With, CAAC Sevilla, Kadist Paris, Rotor Graz, FRAC Lorraine, and Clark House Bombay. She is the winner of the 2009 Prix de Rome, and holds teaching positions at Sandberg Institute Amsterdam, and Kunstakademie Münster. ‘PDGN’ is a short fiction video that portrays a future in which the world is no longer run by national governments or global corporations, and that is neither utopian nor dystopian. A new link language is developing between people across the world through voluntary self-instruction. 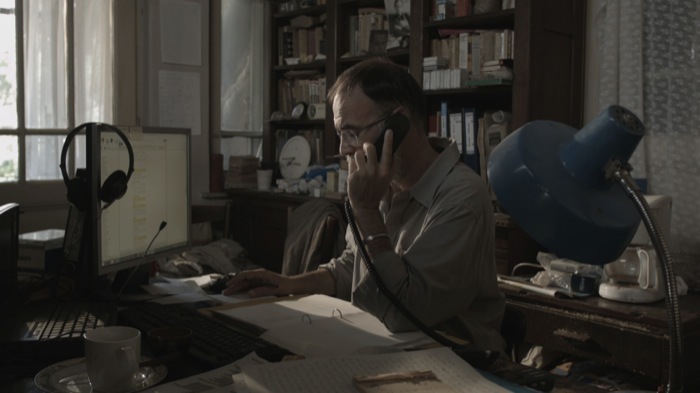 ‘Portrait of an Englishes Collector’ sees a fictional amateur linguist conduct a telephone study of the ‘Englishes’ spoken in the remotest corners of the globe. 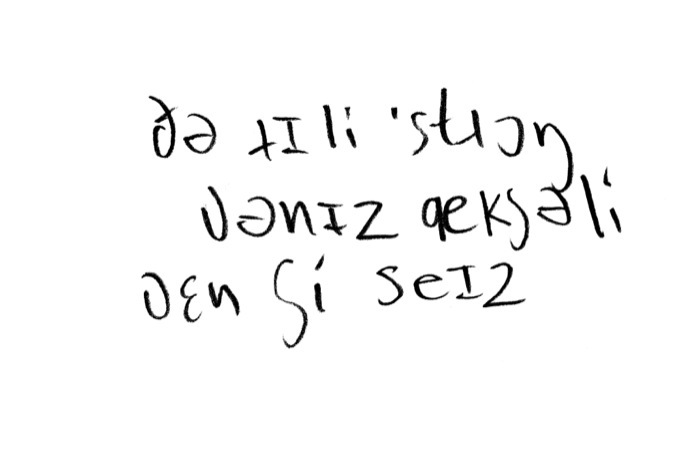 Through a series of fractured phone conversations he uses notation in International Phonetic Alphabet to collect fragments of their pronunciation. ‘A Romance in Five Acts and Twenty-one Englishes’ is based upon Bernard Shaw’s 1912 play ‘Pygmalion – A Romance in Five Acts’. 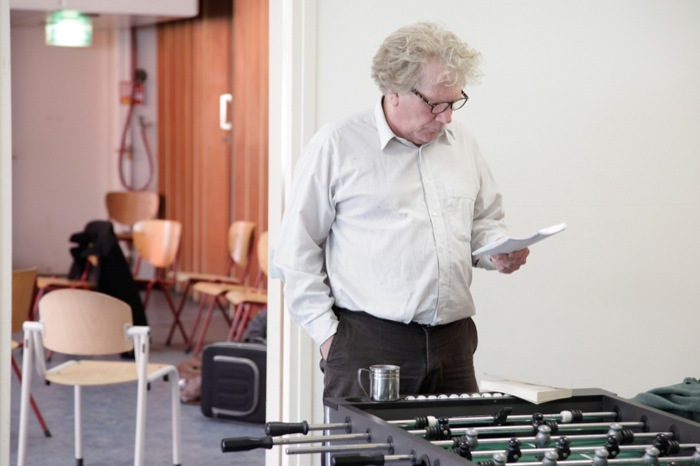 Twenty-one translations of the play were collected and re-translated into English in front of a live audience at Kunstraum, London, and later brought together as a book by Onomatopee, Eindhoven. A cast of five native English speaking actors later staged the second act of the play in its non-native English adaptation. ‘Darling Good Night’ consists of an audio track superimposed onto a video of a still lake. The accompanying audio records the stories of a number of people who are waiting for their residence permits in an isolated part of Norway, retelling their “linguistic journeys” from Eritrea, Syria, Ethiopia, and Sudan to Europe. The lake and mountains in the video are their exact view while waiting at Jølster refugee center and learning a regional variety of Norwegian. ‘Wer Mae Hao’ is the result of a series of workshops held at De Zonnebloemschool and Extra City, Antwerp, in which children with different language backgrounds explored the possibilities for an English of the future. 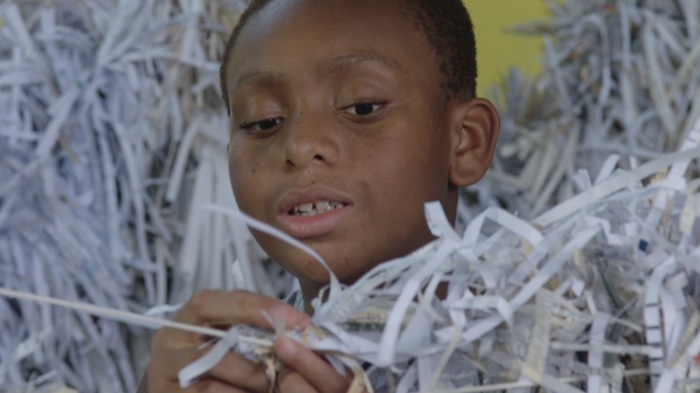 In this video, shots of the group of children telling a story in an English constructed from their individual, self-made varieties, are juxtaposed with close-ups of their hands cutting up pages of English dictionaries, and constructing a celebratory puppet that they dance with in their gymnasium. ‘Any other Business’ is a 6 hour performance piece, uniquely structured as an ordinary conference, set in a commercial convention centre. Each of the ten items on the conference program was scripted and staged live by actors, both on stage and in the audience. The script for ‘Any other Business’ is based on recordings of public debates, retrieved for that purpose from the archives of debate societies, various online sources and Nicoline van Harskamp’s own audio recordings. The transcribed debates were translated to English, and undone of any topical or factual information. What remains are 10 meetings that have a critical moment or plot in them in which the speakers - often unsuccessfully - attempt to suppress their urge to act rather than talk. ‘Her Production’ consists of an audio track alongside a projection of handwritten subtitles in international phonetic alphabet. The track comprises a collage of various critiques of the artist’s own English pronunciation, or “production,” as articulated by her fellow students and her teachers during the 2014 Summer Course of English Phonetics at UCL in London. A number of anarchists elaborate on the history and future of the movement in a fully scripted anarchist gathering. The resulting fiction, named after a much-used anarchist sign-off, suggests what might happen if the international correspondents were to meet today. ‘Yours in Solidarity’ tells a story of anarchism from the late 1980’s to today, through the letter archive of the late Dutch anarchist Karl Max Kreuger. This art-fiction is based on intensive research projects, readings, recorded performances and interviews, developed and exhibited from 2011 – 2013. In her first piece on the subject of worldwide English use, Nicoline van Harskamp interviewed linguists, artists, politicians, language teachers and NGO workers in Romania about the way the English language has influenced their particular field. 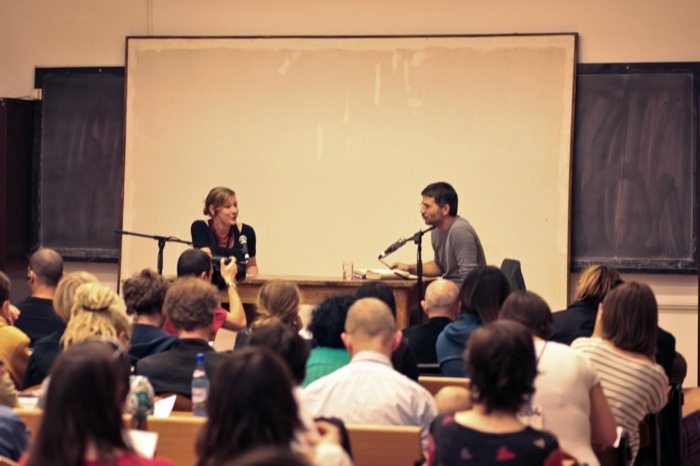 From the transcribed conversations, she created the script for a discussion between a curator and an artist, subsequently performed by Romanian actor Daniel Popa and herself. The English script was translated to Romanian and van Harskamp memorized her text line by line in preparation of its unique staging, for a mixed-language audience, on the opening night of the 4th Bucharest Biennial. Recordings of the live event were subtitled in English and now make up a video work with the same title.